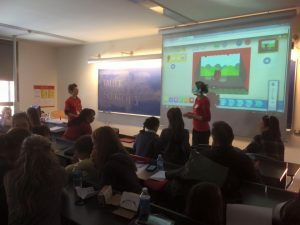 Since 2015 I have been participating and faciliating several workshops in collaboration with America Space Barcelona, Universitat Pompeu Fabra, Oracle4Girls and Girls In Lab to promote girls’ interest in technology and STEM related professions. In November 2015 and March 2016, I participated as volunteer at the UPF Hackathon for girls between 7 and 17 years. 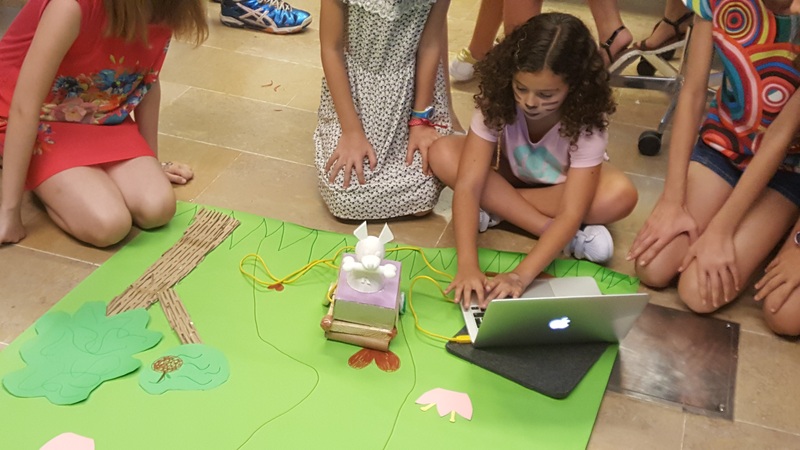 This event was co-organized by GirlsInLab, an organization of volunteers in Barcelona which offers free educational and hands-on STEM workshops and tutorials for young girls to promote their interest in technology and in pursuing STEM-related careers. I am also collaborating in the DTIC-MdM Strategic Program “Data-Driven Knowledge Extraction” and contribute to the broader strategy of the Barcelona’s American Space, public Library Ignasi Iglesias – Can Fabra. I organize and conduct hands-on workshops on technological areas such as Augmented Reality, digital fabrication and 3D printing aimed at inspiring and improving children’s and teenager’s skills and resources to pursue studies in STEM fields. This video presents the results of a GirlsHack Summer Camp in July 2017.